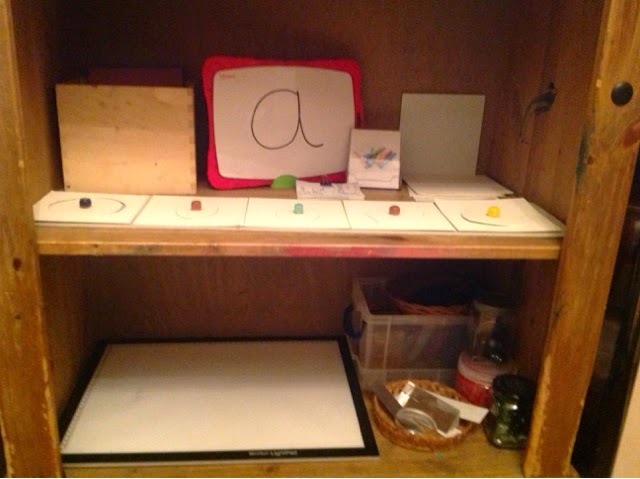 We'll talk about the top shelf first which is language, the box on the back left holds my homemade sandpaper letters (not made of sandpaper - I'll post the process I used soon), at the moment it only holds the four that he is working on a, m, s, and t. Next to that is a white board where I write one of the letters. I usually change it each evening and he comes in each morning and tells me what sound it makes. Just in front of that are some little classification cards. 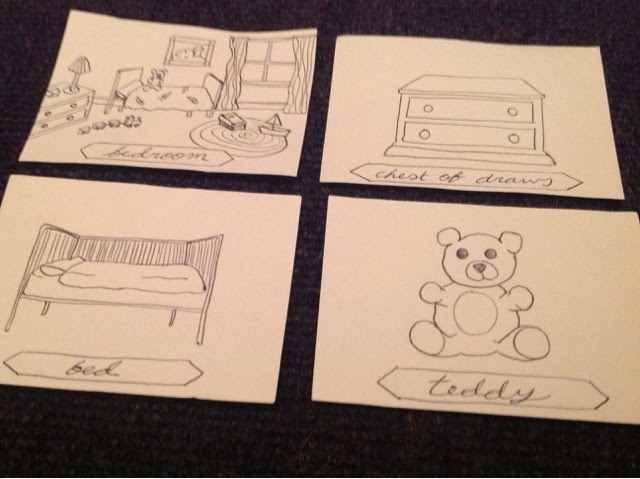 He has to sort which objects belong in which room, (please be nice, I'm not an artist, I'm just trying to help my kids learn!). 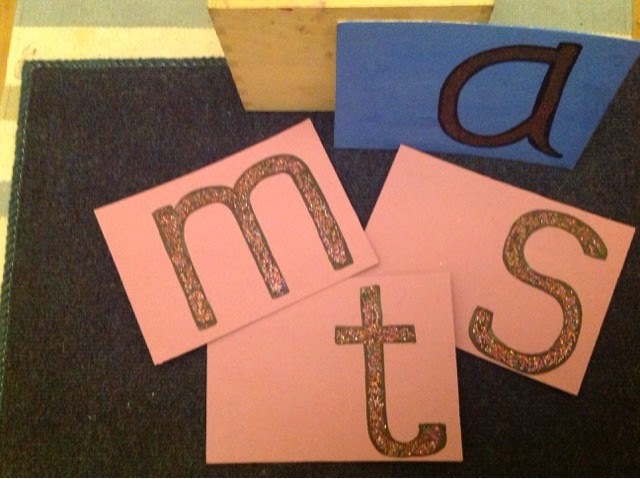 Next are some 'what-goes-with-what' sorting cards which were a free printable from montessori for everyone. And lastly on that back row are just some precut squares of paper for the 'metal' insets. So...yes...as you can see the front of that shelf holds our 'metal' insets, which I made from card! 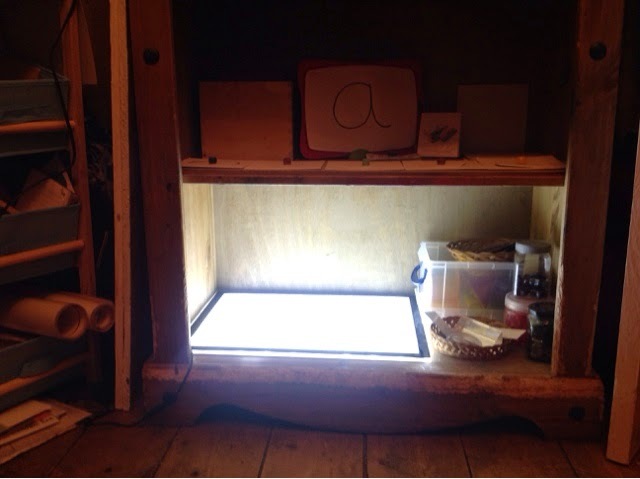 The bottom shelf holds an A3 minisun light pad. 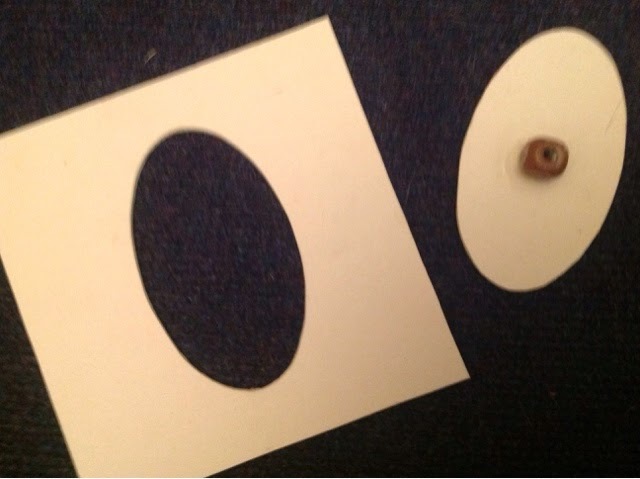 The light pad is not a traditional montessori material but we love it loads. Next to it I change out different baskets of manipulatives to experiment with. 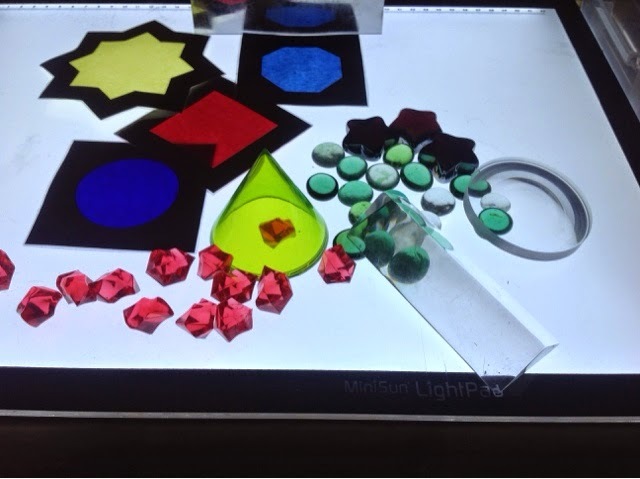 At the moment we have, coloured perspex 3d shapes, some stain glass window effect shapes that I made from black card and coloured kite paper, red and green glass nuggets and stars and a selection of mirrors and clear prisms. This gets lots and lots of use every day, it's so much fun. There are a couple of other areas set up for rogue but they are less structured. There is a very small roll top desk that he can use if he wants. 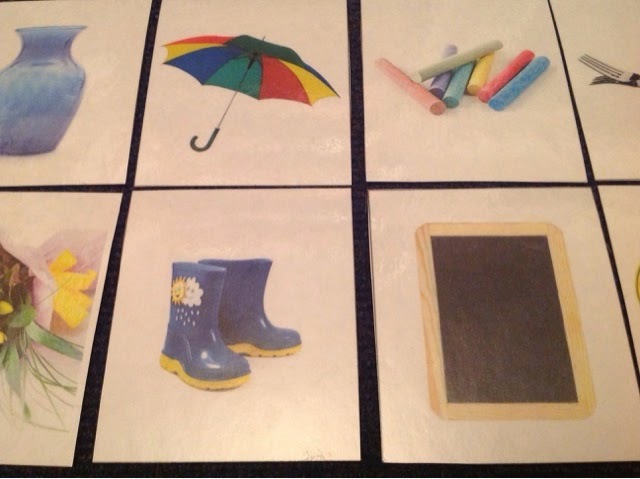 This has a few of his favourite puzzles on top plus another whiteboard for letter learning. 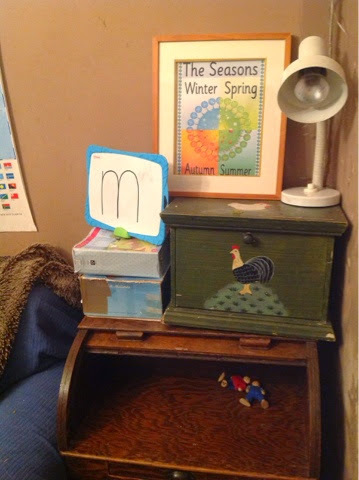 There is a little draw under the desk which has some coloured pencils in and Inside the rooster box is a basket with another puzzle. There is a small selection of books available all the time which I swap around frequently and also a basket of instruments which is not available all the time because it quickly descends into chaos! I think that is everything that rogue has going on at the moment but it changes so frequently, in fact I took these pictures last night and this morning I made something new for the language shelf and a simple colour sorting activity so regular updates will be needed. Any thoughts on improving my set up will be much appreciated.